﻿﻿For the past year I've been putting a lot of thought into developing a trail running club Southeastern Ohio (SEO). I have the distinct opportunity through my graduate program at Ohio University to create a project that aims to make an impact on the community. I believe a trail running club can make that positive impact in our community. This club would be a sanctioned non-profit club based out of Athens, OH, but would range across the entire Southeastern Ohio area. There are so many great opportunities for trail running and SEO is blessed with a wealth of State Parks, State Forests, Wilderness Areas, and even a National Forest! The aim is to create camaraderie with a collective group of like minded people who love trail running and who love giving back to nature. It will also be a club for individuals who want to try out trail running for the first time or for people who want to start running for the first time! This project is in its early stages and I am calling for comments. Let me know what you think of a trail running club. Are you from SEO and interested in this idea? Would you like to be a part of this club? Do you have idea's on how to make a trail running club a success? 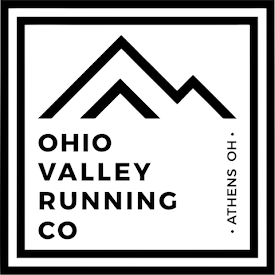 Are you not from Southeastern Ohio but have experience with trail running clubs? Let me know! Comment below and be sure to answer to poll question to the right! I would love to help in any way I can. We are starting to run Sundays at 9am at great seal if you want to come out sometime and talk about it let me know. I wish I could stay such a natural place. It is a dream place for spending your entire life.